Carpal tunnel syndrome may affect 3% of all women and 2% of all men at some point during their lifetime. Statistically women are three times more likely to develop carpal tunnel syndrome than men possibly due to the smaller size of the tunnel itself and older people are at a higher risk than young adults. Carpal tunnel syndrome is caused when the median nerve, which runs from the forearm into the palm through the wrist bones, gets compressed. The carpal tunnel is a narrow, rigid passageway of ligament and bones at the wrist joint. Repetitive motion, often related to job functions, can cause the tendons to become irritated and swollen resulting in weakness, numbness in the hand and fingers and pain that can radiate up the through the arm. There are several non-surgical treatments your doctor may try first including prescribing anti-inflammatory medications. Corticosteroids can be injected directly into the wrist or taken by mouth to relieve pressure on the median nerve and provide immediate relief to patients with mild or intermittent symptoms. Once symptoms have subsided, exercises to strengthen and lengthen the tendons may prevent future occurrences. In severe cases where symptoms last beyond six months surgery is often recommended. “Open release” surgery entails making an incision in the wrist and then severing the carpal ligaments, enlarging the carpal tunnel to provide relief. If you have Carpal Tunnel Syndrome as a result of the type of work you perform it might be considered a workplace injury and often you are eligible for workers compensation. 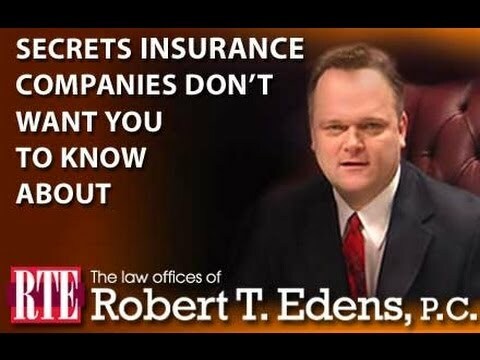 If this is the case you may be entitled to have your medical bills paid, collect two-thirds of your average wages for any lost time due to your workers compensation claim and vocational retraining if you are unable to do your old job. 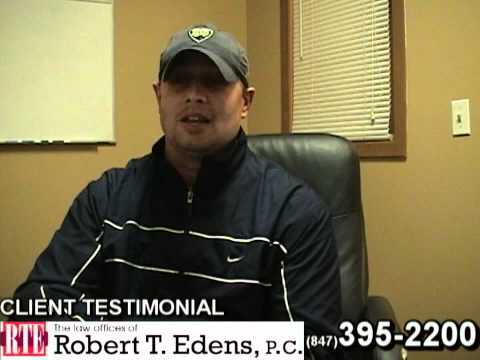 Workers compensation attorney, Robert Edens has convenient offices in Antioch, and Barrington, Illinois. 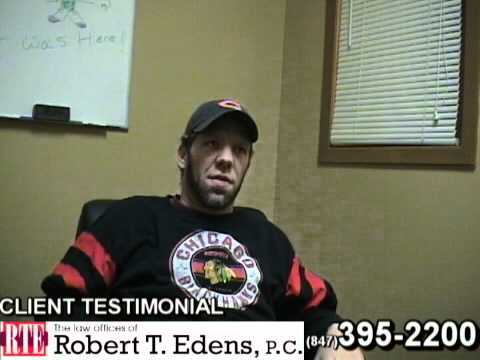 Call for a FREE legal consultation regarding your case in the Chicagoland area including the following municipalities: Fox Lake, Gurnee, Grayslake, Lake Villa, Ingleside, Lindenhurst, Round Lake, Round Lake Beach, Round Lake Heights, Round Lake Park, Waukegan, Zion, Highland Park, Libertyville, Mundelein, Algonquin, Crystal Lake, Lake in the Hills, McHenry, Woodstock, and North Chicago. 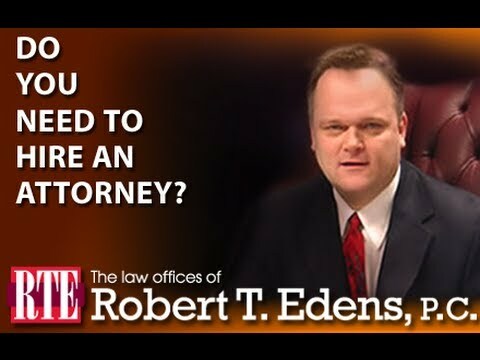 Free case evaluation with no obligation & no fees until a fair settlement offer is secured for you.